With the end of the cold war, confidence-building measures (CBMs) are emerging as an essential means of preventing accidental wars and unintended escalation in strife-ridden regions. The East-West experience is one highly developed example of CBM implementation, but the practice has also been usefully applied in South Asia, the Middle East,and the Southern Cone of Latin America. This handbook has several purposes. The contributors wish to call attention to CBMs undertaken in a variety of regions. They also wish to call attention to the East-West experience in negotiating and implementing CBMs, not as a guide to action in other regions, but as a useful case study. Michael Krepon, Khurshid Khoja, Michael Newbill, and Jenny S. Drezin, eds., A Handbook of Confidence-Building Measures for Regional Security, 3rd Edition (Washington, DC: The Henry L. Stimson Center, March 1998). 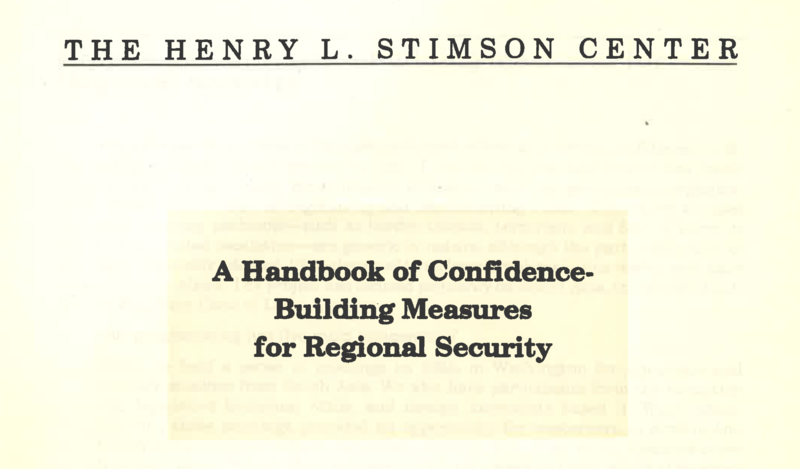 When the first edition of the Henry L. Stimson Center’s Handbook of Confidence-Building Measures for Regional Security was published in September 1993, CBMs were viewed with skepticism in regions that wished to be distant from perceived Cold War constructs. Over time, and with much useful discussion across borders, regions, and cultures, resistence to the theory and practice of CBMs has eased. Greater acceptance of CBMs grew, in part, from acknowledgment that terminology ought not to get in the way of successful practice. And while the term “confidence-building measures” may have been rooted in the Cold War, the practice of tension reduction has been underway in many regions long before CBMs were formally adopted by the North Atlantic Treaty Organization (NATO) and the Warsaw Pact. By the time the second edition of the CBM Handbook was published in January 1995, ritualistic arguments over the ‘export’ of CBMs from the North to the South, or from the West to the East were largely over. Proponents of CBMs in the West understood that measures negotiated during the Cold War could not be mindlessly transposed to other regions, while CBM skeptics in other regions began to soften their negativity. While some remained stuck in past grievances, others began to explore how CBMs usefully employed elsewhere might be adapted to meet local needs. The Stimson Center’s publications on CBMs found interested readers in government offices, military headquarters, academia, research institutions, and nongovernmental organizations. The CBM materials on our website evolved and grew. At the same time, significant obstacles to the negotiation and proper implementation of CBMs were quite evident in almost every region. While rhetorical support for CBMs was forthcoming, negotiation and implementation of CBMs lagged behind. The third edition of the CBM Handbook appears at a time when much work remains to be done on the theory and practice of successful confidence-building. CBMs negotiated during the Cold War have proven to be exceptionally useful and adaptable to an entirely new European security environment—a major success story. There has been considerable progress in confidence-building in most of Latin America, especially in the economic sphere. The institutionalization of discussions regarding CBMs, both official and nongovernmental, is well underway in Latin America and in the Asia–Pacific region. Southern Africa and Central Asia also appear to be moving forward on CBMs. Written by P.R. Chari for the Regional Center for Strategic Studies, Colombo, Sri Lanka. Reprinted with permission. Where is China heading? How will Beijing practice the use of CBMs, which the extraordinary Norwegian peace-maker and strategic analyst, Johan Jørgen Holst, defined twenty years ago as instruments to convey "credible evidence of the absence of feared threats"? China's economic growth and military potential have commanded the attention of its neighbors, and with good reason. China has fought wars with the United States and Japan, and has clashed with Russia and India over disputed borders. Beijing's relations with all four of these countries remain critical "works in progress." How these bilateral relationships evolve will define key contours of international relations in the twenty-first century. Chinese views toward the theory and practice of confidence-building measures matter a great deal, which is why the Henry L. Stimson Center has published this first ever English-language collection of essays exclusively on CBMs written by Chinese authors. This volume offers a rare glimpse of Chinese views and thinking on these important issues. To this end, the essay looks at the concept of confidence building and how it has been applied in the past in the South Asian context. It then assesses and analyzes the reasons for the only limited success of lndo­ Pakistani CBMs. We argue that a perceptual blockage and an enemy mythology surrounding both India and Pakistan are the real impediments to the success of CBMs. Not only do they prompt governments of the two states to engage in hostile actions which reinforce the image of an enemy across the border, but they also prevent them from hearing each other's legitimate concerns. This, in turn, contributes to a perpetual state of hostility. The real route to confidence building lies in altering these myths by measures such as improving people-to-people contacts. Michael Krepon and Peter Constable, "Confidence-Building, Peace-Making and Aerial Inspections in the Middle East," Stimson Center Occasional Paper 6, January 1992. Was there a near-nuclear war between India and Pakistan in 1990? To help set the record straight, the Stimson Center convened a meeting on February 16, 1994 with US officials who could provide authoritative eye witness accounts of this important crisis. Occasional Paper 17 is a transcript of this on-the-record discussion which was led by former US Ambassador to India William Clark and former US Ambassador to Pakistan Robert Oakley. Participating in this discussion were the U.S. defense attaches at both embassies, who traveled extensively during the crisis and watched the Indian and Pakistani militaries at very close quarters. We invited knowledgeable Indian and Pakistani officials to join us, as well as South Asian reporters who were based in Washington, DC. 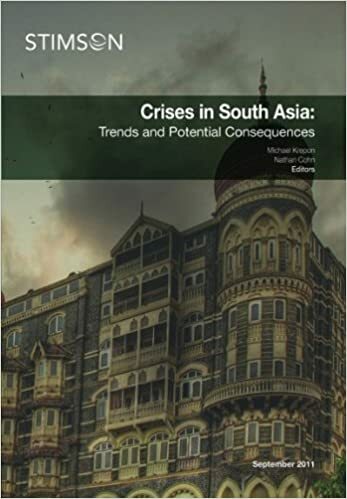 Michael Krepon and Amit Sevak, eds., Crisis Prevention, Confidence Building, and Reconciliation in South Asia, New York: St. Marten's Press, 1995. Deterrence between India and Pakistan is becoming less stable with the passage of time and an increase in nuclear weapon capabilities. India and Pakistan have not addressed basic issues in dispute, nor have they agreed to set them aside. Direct trade and other means of connectivity remain purposefully circumscribed, and spoilers who oppose Pakistan’s rapprochement with India are poorly constrained. In 2015, India and Pakistan are no closer to resolving their differences than they were seven years ago, after members of Lashkar-e-Taiba carried out attacks against Mumbai landmarks, including the central train station, two luxury hotels, and a Jewish center. 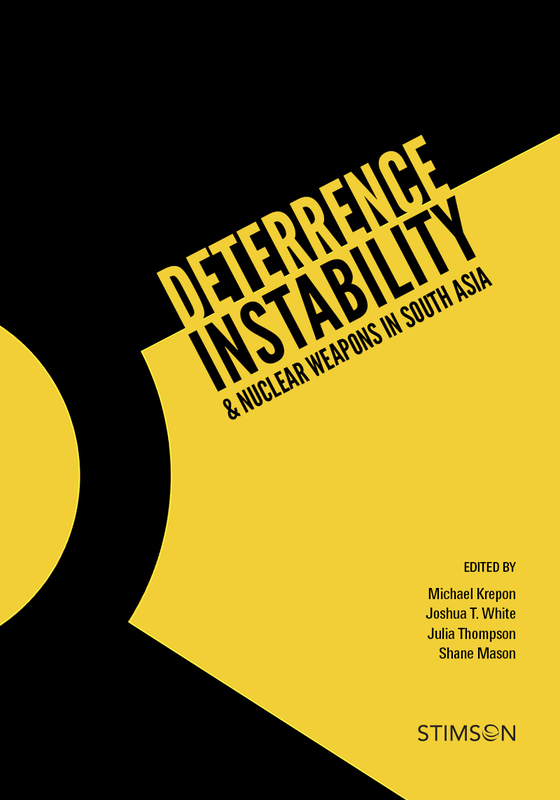 The essays in this volume highlight how doctrinal, strategic, and technological developments contribute to growing deterrence instability in South Asia. Key elements of Indian and Pakistani strategic culture intersect at times in negative, reinforcing ways. Pakistan and India continue to diversify their nuclear weapon capabilities in ways that undermine stability. Two kinds of delivery vehicles – short-range systems that must operate close to the forward edge of battle, and sea-based systems – are especially problematic because of command and control and nuclear safety and security issues. 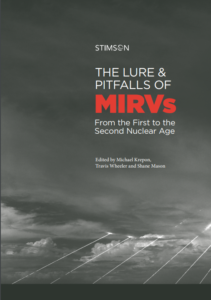 Taken together, these chapters point to serious challenges associated with increased nuclear dangers unless leaders in India and Pakistan work to resolve their grievances, or consider measures to mitigate their costly and risky strategic competition. If not, deterrence instability on the subcontinent will grow in the decade ahead. India and Pakistan have developed and flight tested seventeen new nuclear weapon delivery vehicles since testing nuclear devices in 1998 - an average of more than one per year. Military doctrines have also evolved to emphasize more rapid mobilization to engage in limited conventional warfare. Diplomacy to reduce nuclear risks has lagged far behind nuclear weapon-related advances and doctrinal change. Since 1998, Pakistan and India have negotiated four notable military-related Confidence-Building and Nuclear Risk Reduction Measures. No new measures have been agreed upon since 2007. There is no basis for deterrence stability on the Subcontinent when diplomacy and nuclear risk reduction are moribund while nuclear capabilities grow and military doctrines evolve. The most desirable off-ramp to increased nuclear dangers is to secure normal relations with a nuclear-armed neighbor. 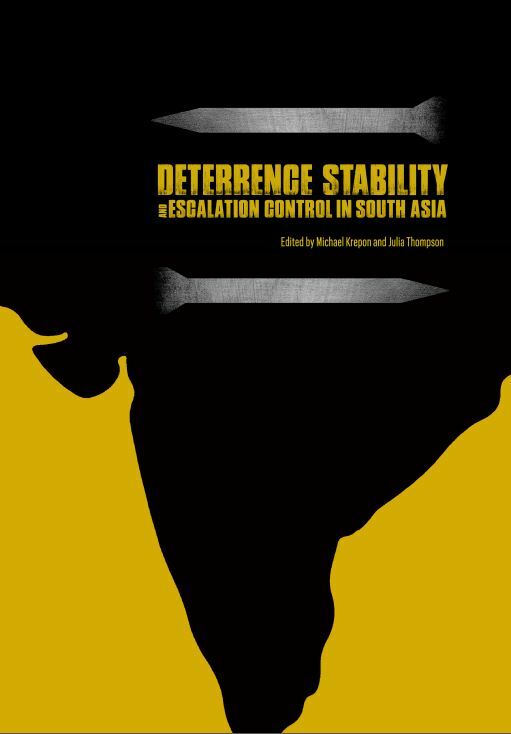 This collection of essays - the product of bi-monthly discussions at the Stimson Center - provides analysis and ideas for deterrence stability and escalation control on the Subcontinent. This pursuit awaits leadership in India and Pakistan that is strong enough to persist in the face of violent acts designed to disrupt progress. A.G. Noorani, "Easing the Indo-Pakistani Dialogue on Kashmir: Confidence- Building Measures for the Siachen Glacier, Sir Creek, and the Wular Barrage Disputes," Stimson Center Occasional Paper 16, April 1994. Estrangement between India and Pakistan is a disturbing exception to that trend, particularly so because both states possess nuclear weapons capabilities, official denials notwithstanding . Since the end of British rule in 1947, nothing like a sustained period of detente has ever come about on the subcontinent. Rather, adversarial relations have been the abiding norm. In these countries where very large sections of people live in dire poverty, the enormous expenditure on arms and the tragedy of three wars is a testimony to the failure of leadership. 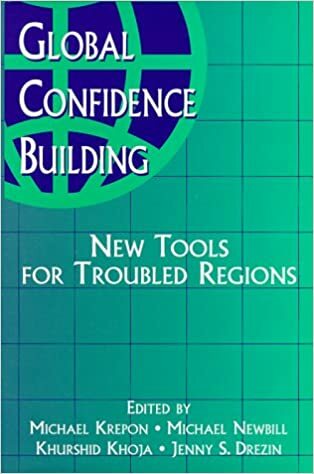 Michael Krepon, Global Confidence Building: New Tools for Troubled Regions, New York: St. Martin's Press, 1999. After every major war, perverse problems and heady opportunities present themselves in strange and variable mixtures. These conditions have reappeared with the end of the Cold War. Entropic forces coexist alongside integrative trends in economics and communications, while blood feuds proceed concurrently with democratic and market reforms. Under these confusing circumstances, leaders would be wise to use Confidence Building Measures, which consolidate gains while providing buffers against losses. Many tools exist to build confidence in tension-filled regions, such as inviting foreign observers to once-secret facilities, carrying out cultural exchanges, and designing cross-border economic development projects. Global Confidence Building is the first volume to examine the intricacies of confidence building around the world, highlighting both success stories and failures, and looking at crucial works in progress. This volume builds on three decades of Stimson research and writing on the threat of conflict in South Asia. Within these ten chapters, authors from China, India, Pakistan, and the United States offer analysis based on their personal experiences and scholarship. We anticipate Investigating Crises will prove useful to policymakers, strategic analysts, and students of the region’s troubled dynamics. Dr. W.P.S. Sidhu, currently a Visiting Scholar at the Center for International Security and Cooperation at Stanford University, examines the complex dynamic behind ballistic missile development and testing in South Asia. His essay, "India's Security and Nuclear Risk-Reduction Measures," reviews three possible scenarios of missile regimes in the region, concluding that non-deployment with associated NRRMs offers the best possibilities for nuclear safety. Brian Cloughley, a former member of the United Nations Military Observer Group in India and Pakistan, discusses NRRMs along the LoC in Kashmir. His essay, "Nuclear Risk-Reduction Measures in Kashmir," proposes concrete steps to reduce dramatically the level of violence across the Line to foster an atmosphere more conducive to a settlement of the Kashmir dispute. Former ambassadors John H. Hawes and Teresita Schaffer suggest ideas for "open skies" accords for this troubled region in their essay, "Risk Reduction in South Asia: A Role for Cooperative Aerial Observation?" Their recommendations may appear ambitious for southern Asia, but these practices have already proven their worth in other troubled regions, including the Middle East. Pakistan and India: Can NRRCs Help Strengthen Peace? 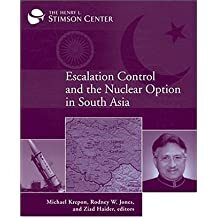 A new Stimson Center report, “Reducing Nuclear Dangers in South Asia,” recommends specific nuclear risk reduction measures to prevent and reduce the consequences of nuclear weapons’ use in South Asia. The recommendations were developed by distinguished participants from Pakistan and India with extensive backgrounds in crisis management, military operations, diplomacy, and intelligence. Participants from the region focused on measures that were practical, necessary, and achievable in the near term. They have suggested concrete measures to demonstrate responsible nuclear stewardship, including the establishment of nuclear risk reduction centers and arrangements to reduce dangers associated with missile tests. Participants also noted the importance of developing a better understanding of each other’s nuclear doctrine and terminology on nuclear issues, as well as steps to reduce the likelihood that terrorists could acquire nuclear material. The collaborative spirit in which this project was undertaken offers hope that nuclear risk reduction measures can be negotiated and implemented once substantive dialogue between the governments of India and Pakistan resumes. Jill R. Junnola and Michael Krepon, eds. This collection of essays examines how CBMs have fared in three very different regions- South Asia, the Middle East, and the Southern Cone of Latin America. These regions have implemented specific "tools" from the CBM toolbox with varying degrees of success. Each of these essays clarifies how prevailing political conditions can either facilitate or confound confidence-building efforts. Domestic factors play a prominent role in determining the success or failure of CBMs. Michael Krepon and Chris Gagne, eds. The five essays contained in the report focus on the complex triangular nuclear interaction among India, Pakistan, and China. These essays examine nuclear dangers in the region and propose strategies for reducing these dangers through political, diplomatic, and technical means. 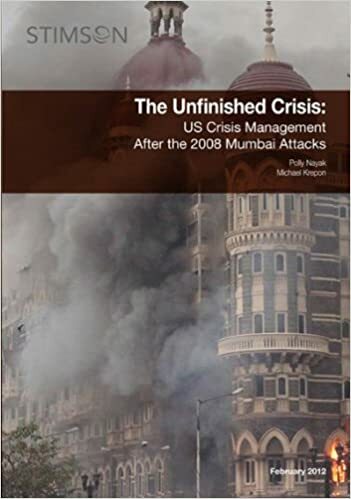 This case study is the first detailed account of US crisis management after the 2008 Mumbai attacks, one that will no doubt be amplified by future first-person accounts and the release of additional details. We conclude that this crisis is both unresolved and unfinished, as our title suggests, and that further attacks in India by militants trained in Pakistan are likely. Although the circumstances, targets, and venues of any future attacks may differ significantly, our analysis and conclusions might help inform US planning for and management of resultant crises between the two countries. 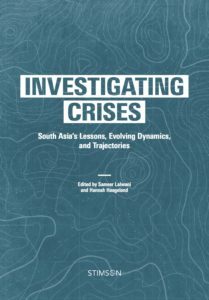 We hope that this case study, like our earlier assessment of the 2001-2002 "Twin Peaks" crisis-so named because it featured two periods of high tension sparked by militant attacks, separated by an interval of relative calm-will be especially useful to South Asia specialists, to readers interested in US foreign policy-making, and to those with a particular interest in conflict prevention. This case study is intended to complement earlier accounts and assessments of the 2008 Mumbai attacks. In this study, we focus especially on approaches and mechanisms adopted by American officials after the 2008 attacks, as they tried both to address terrorism-related issues and to steer India and Pakistan away from confrontation. Some of these mechanisms were honed in earlier crises between India and Pakistan, notably the reliance on top-level diplomacy and on the choreography of high-level official US visits to Islamabad and New Delhi with other key capitals. After the 2008 Mumbai crisis, however, information sharing and law enforcement cooperation assumed new importance, and the Bush administration undertook an unprecedented attempt to broker direct counterterrorism cooperation between New Delhi and Islamabad. Pakistan is grappling with multiple crises simultaneously: a political crisis to determine an arrangement of governance in which President Pervez Musharraf seeks to share, but continues to exercise power; a resilient and growing insurgency emanating from Pakistan's tribal belt; and a growing economic crisis. Yet one source of instability in South Asia, Kashmir, is hardly in the news. Islamabad and New Delhi, fortunately, share an interest in avoiding another downturn in bilateral relations. The Twin Peaks crisis was prompted by a brazen attack by militants on the Indian Parliament building in New Delhi in December 2001. The second peak in the crisis occured in May 2002, with an attack by militants in Jammu. The Bush administration's crisis management effort was central in resolving the Twin Peaks crisis. The lessons learned by US officials, which are recounted in this report, could have lasting value, as another crisis between India and Pakistan cannot be discounted. This Stimson Center report provides an extraordinarily detailed, inside look at the US response to this extended crisis.